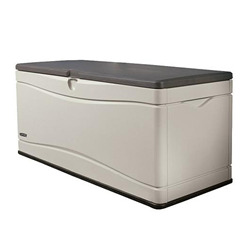 This high quality Outdoor Storage Unit from Lifetime is made from durable high density polyethylene with heavy duty powder coated steel reinforcements to provide you with a strong, maintenance free storage unit that is going to keep the contents dry and secure for many years. 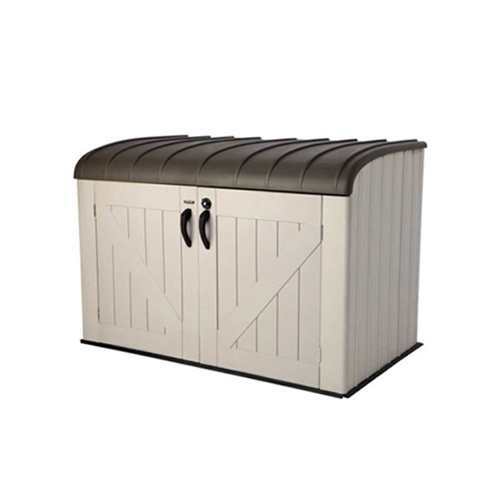 This high quality Outdoor Storage Unit from Lifetime is made from durable high density polyethylene with heavy duty powder coated steel reinforcements to provide you with a strong, maintenance free storage unit that is going to keep the contents dry and secure for many years. 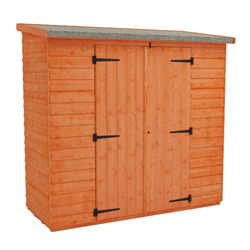 The compact dimensions make it perfect for smaller gardens or for use as a supplementary storage unit if your shed becomes full, and it is large enough to store most sizes of bicycle making it the perfect bike shed. 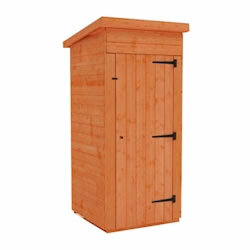 The spring hinged lid and double doors make it easy to gain access to the contents within. The doors can be locked for security. 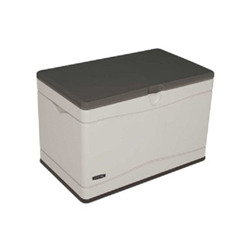 Lifetime's goal is, and has always been, to create affordable products with quality, strength, and durability. They do this by constantly improving, innovating and haring value with customers and lowering costs. But it's about more than just quality products. It's about being a quality company. Their brand is world-trusted and of great value.